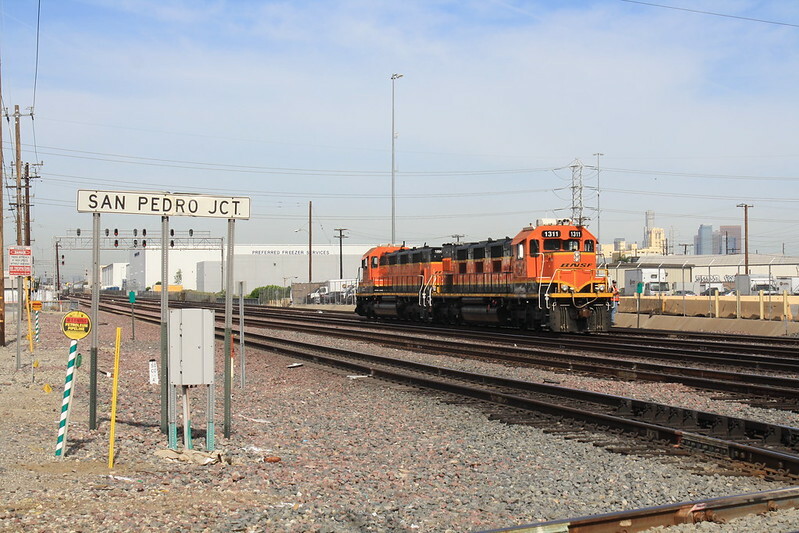 San Pedro Jct - West end of BNSF Hobart Yard where the BNSF San Bernardino Sub crosses the UP San Pedro Sub. 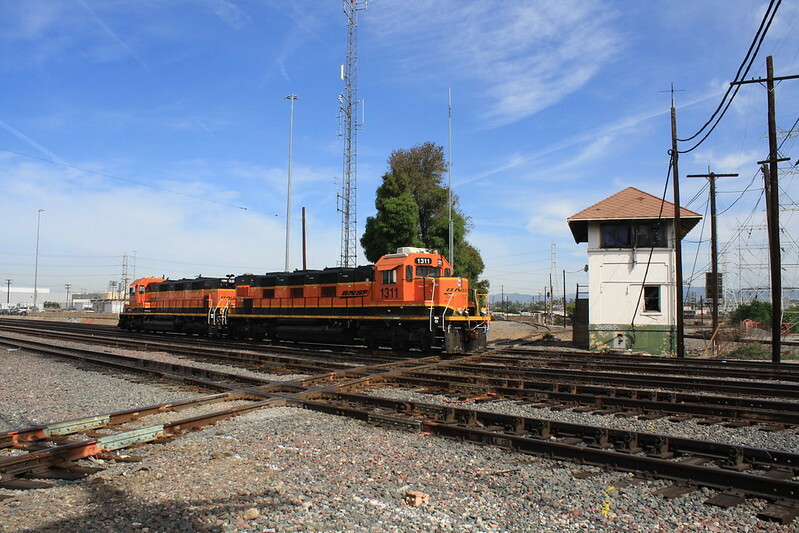 Hobart Tower sits abandoned. 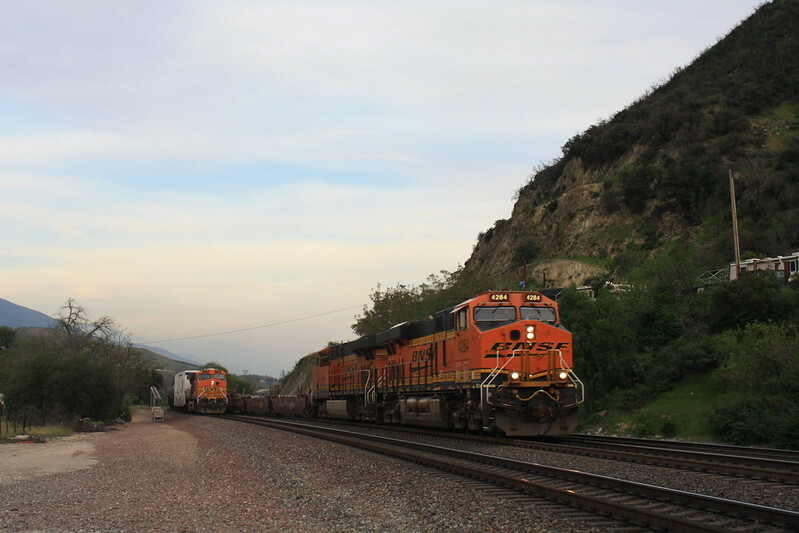 A pair of Genesets crosses over and backs into the yard. 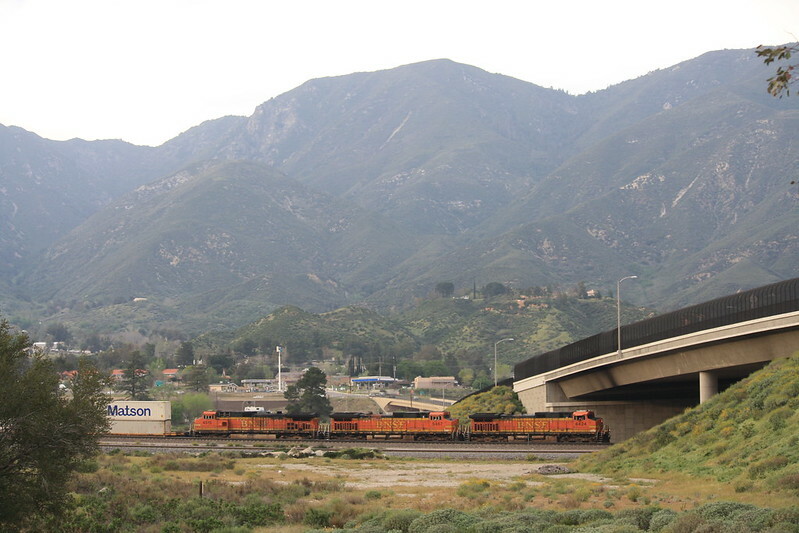 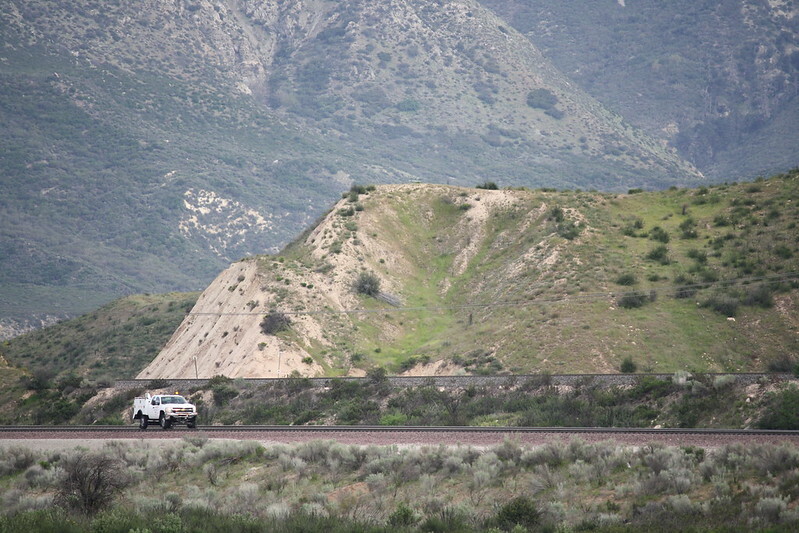 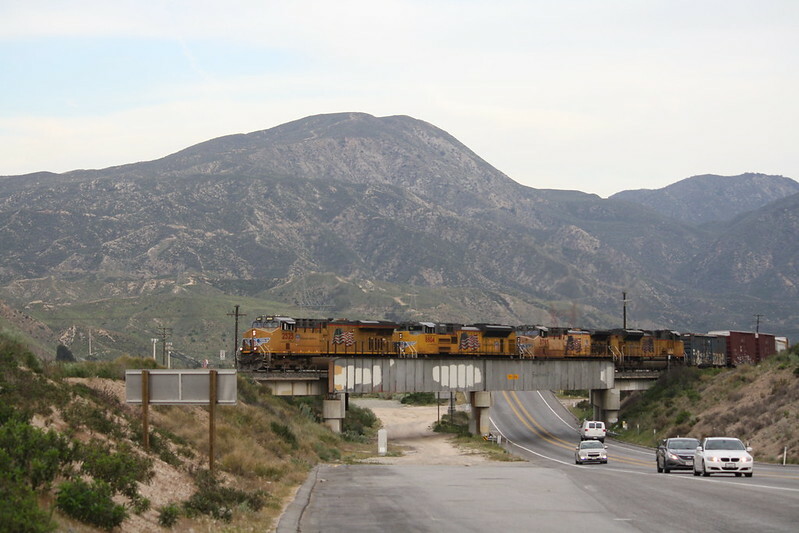 Cajon Pass - The mountains make the trains look like models. 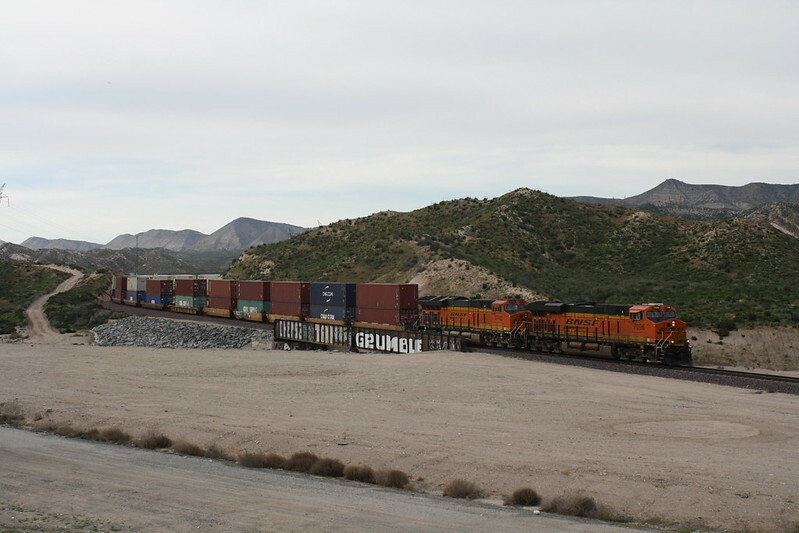 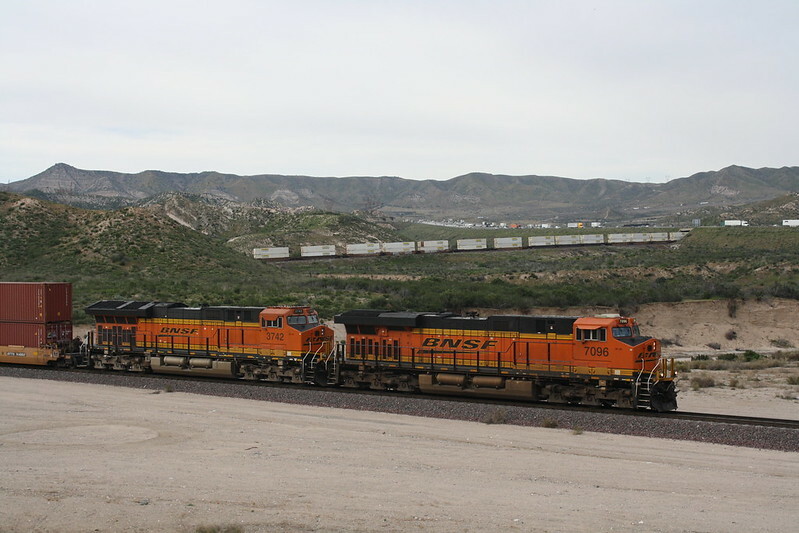 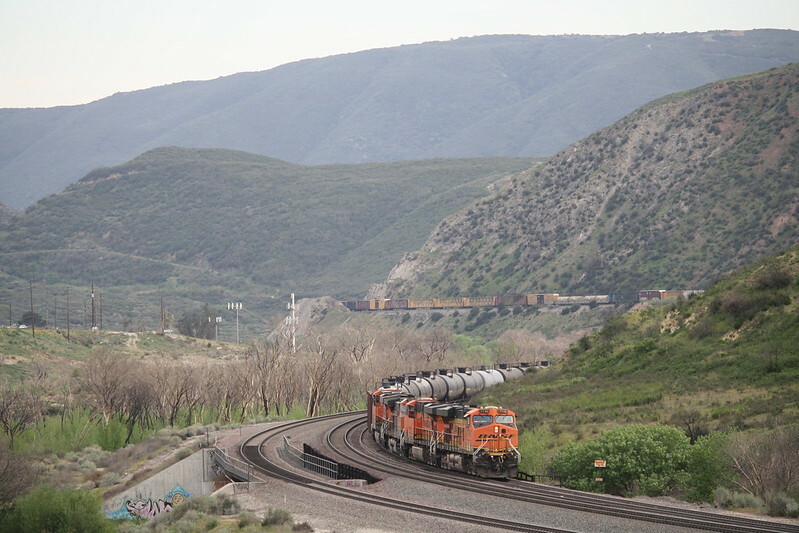 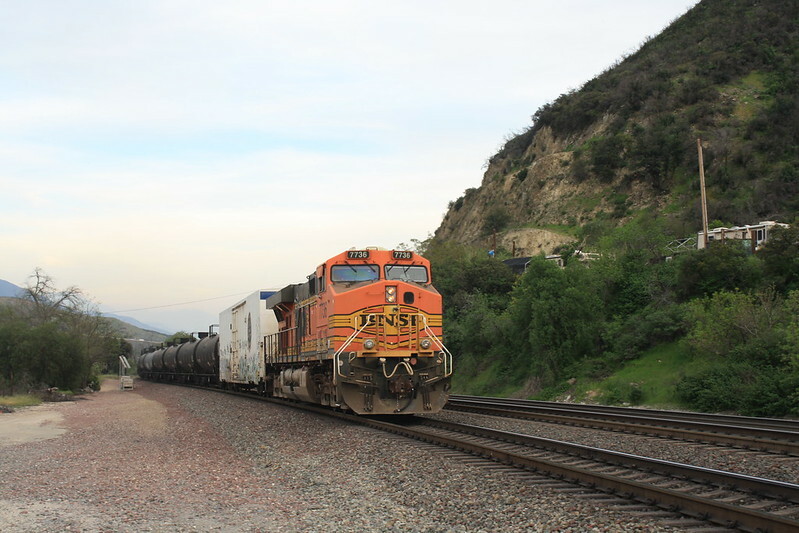 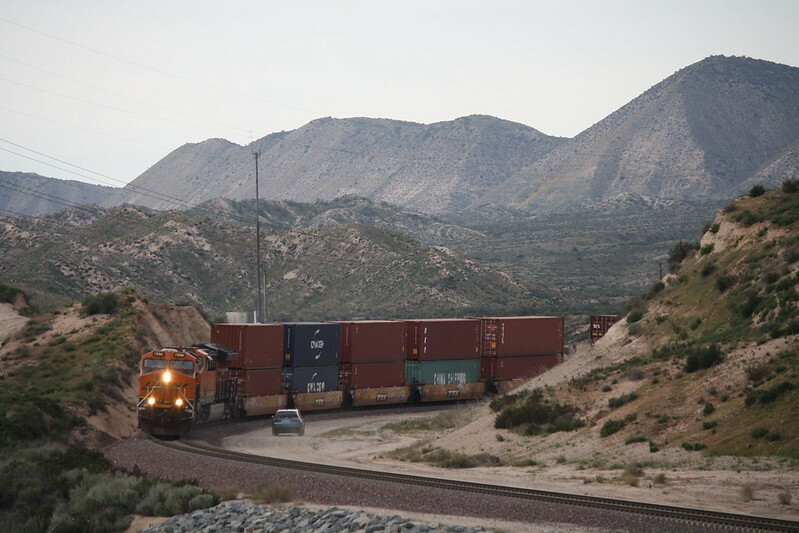 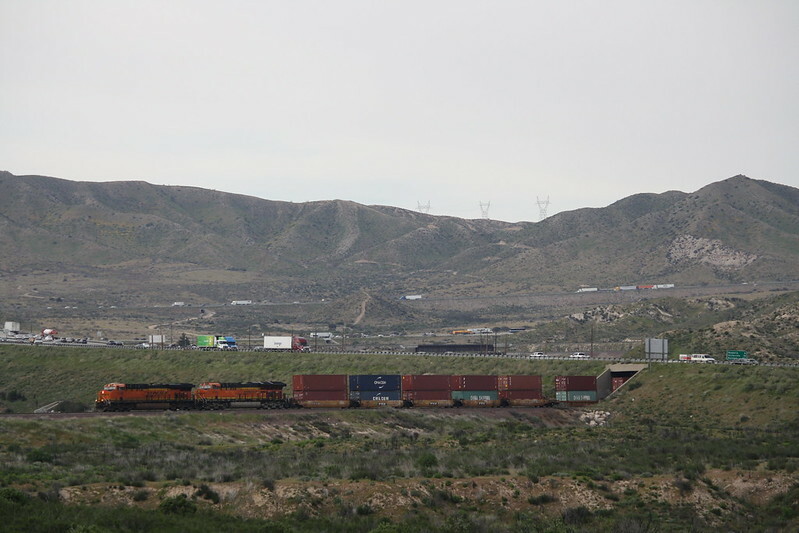 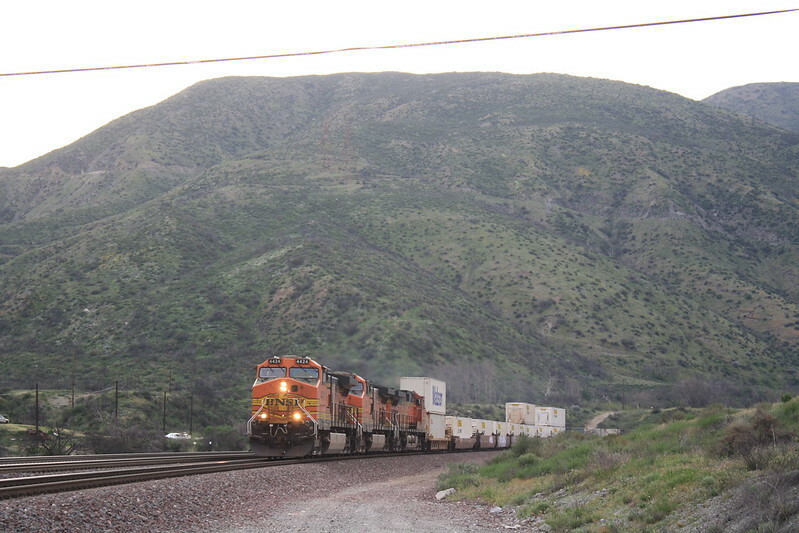 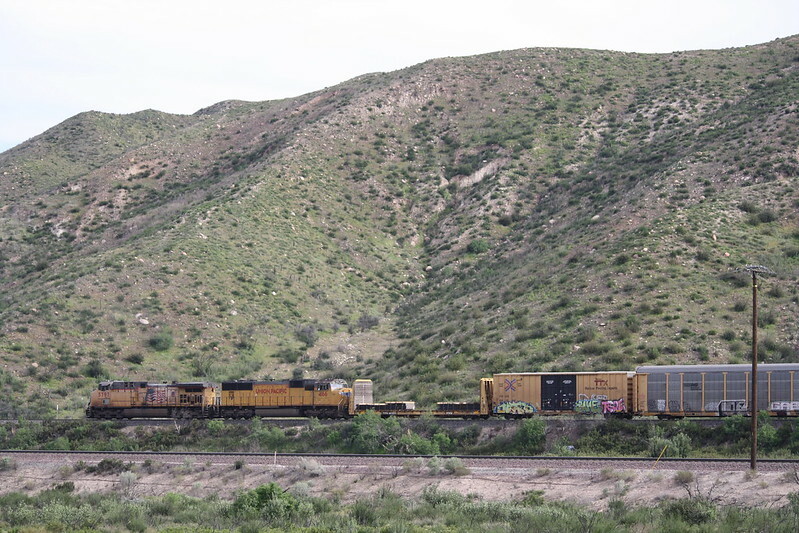 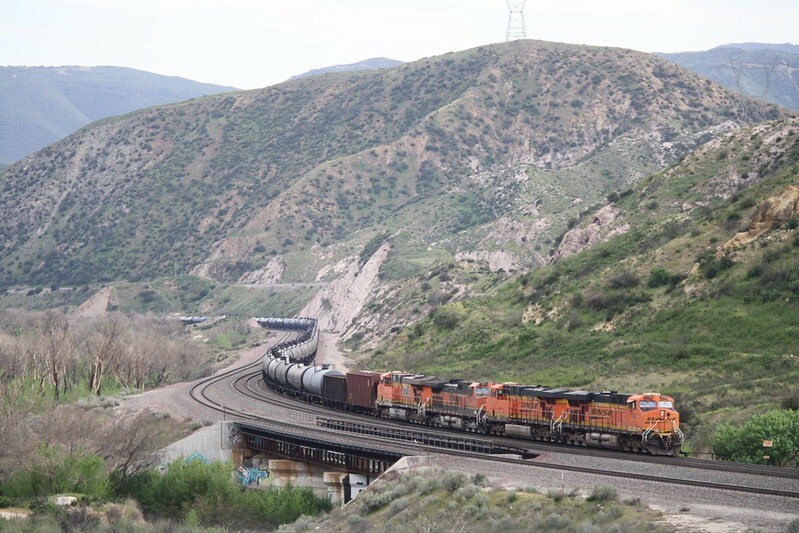 A BNSF Intermodal Train snakes through the mountains. 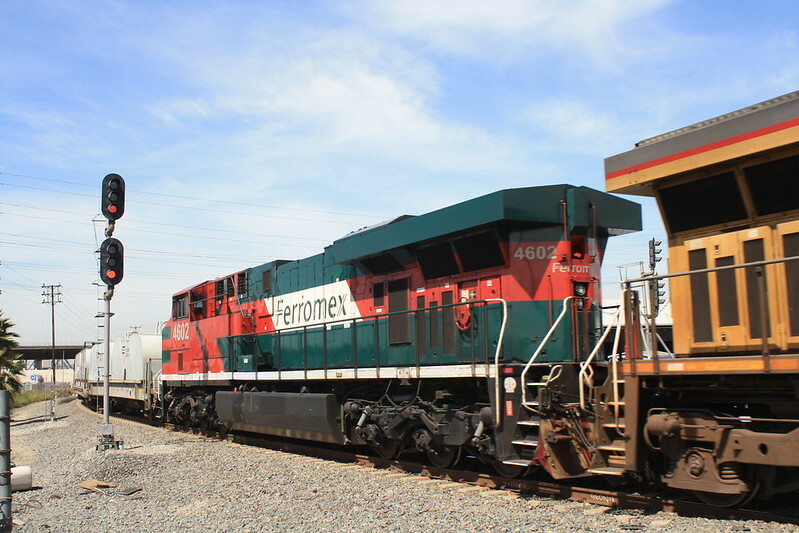 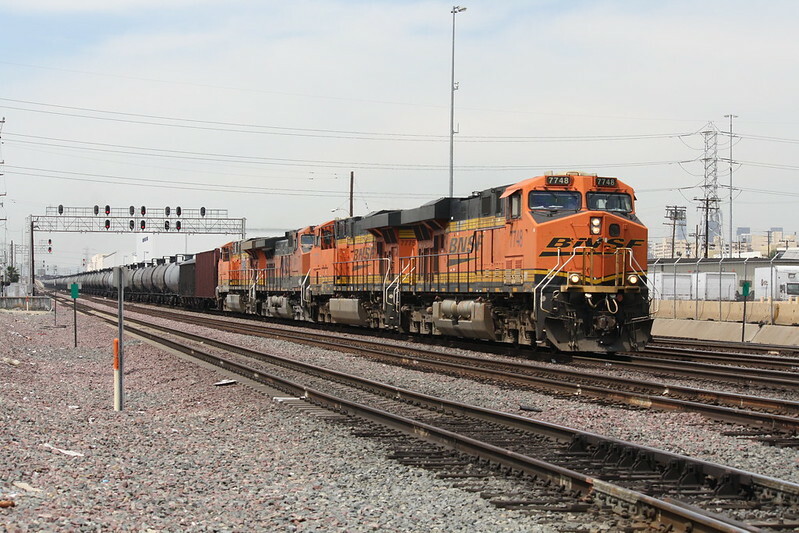 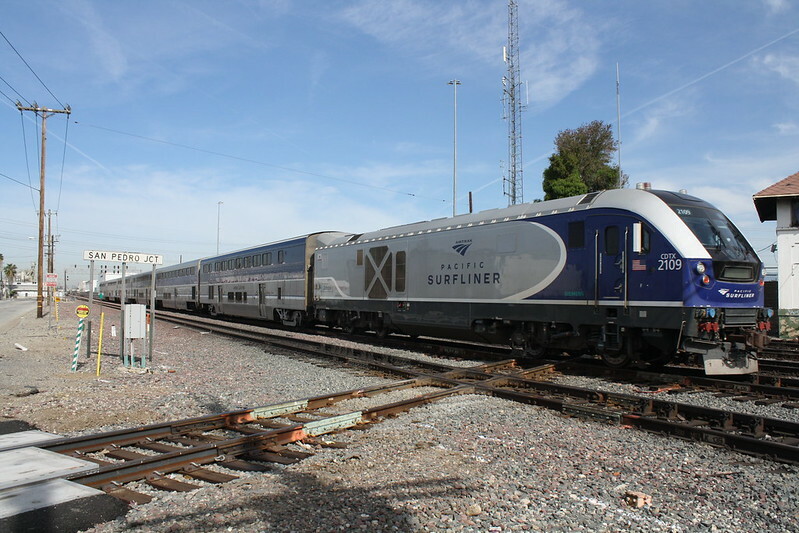 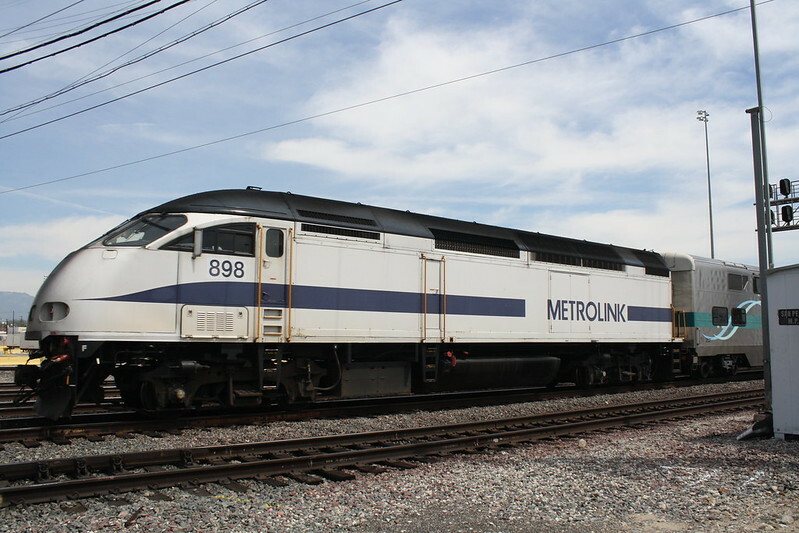 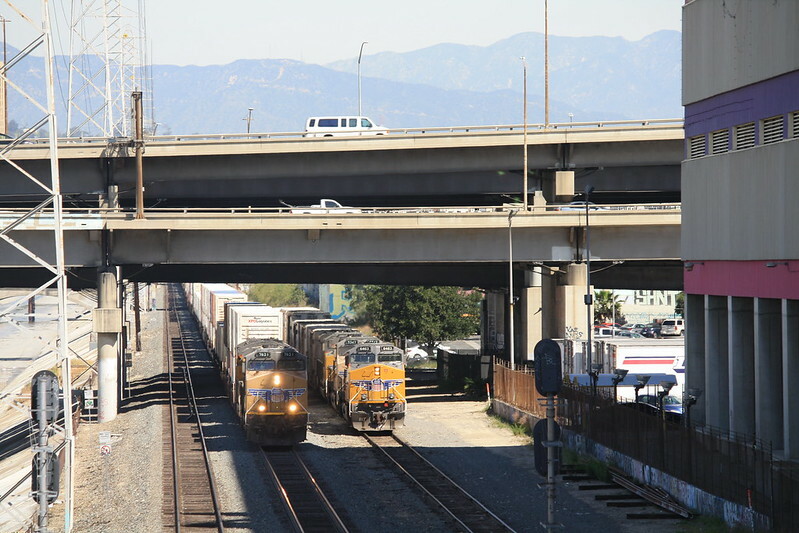 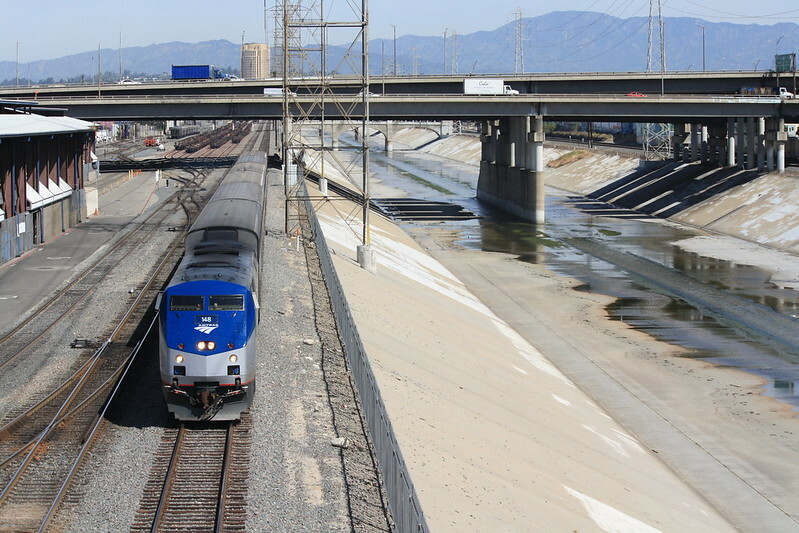 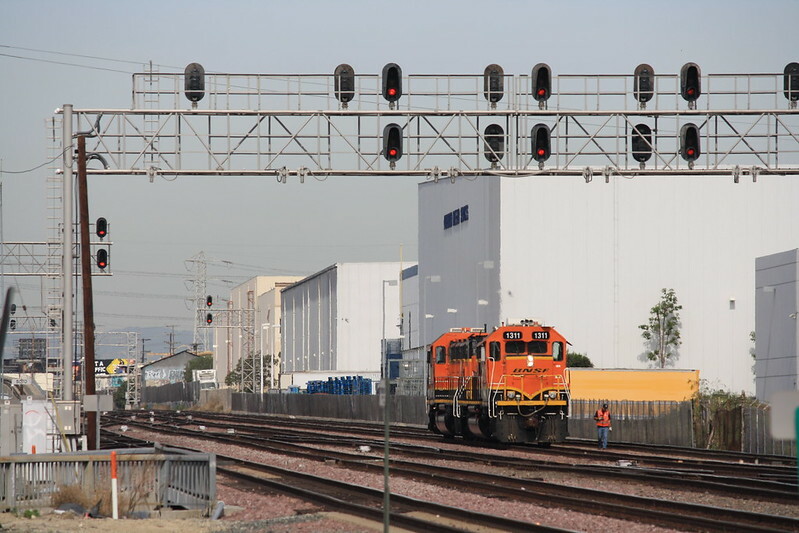 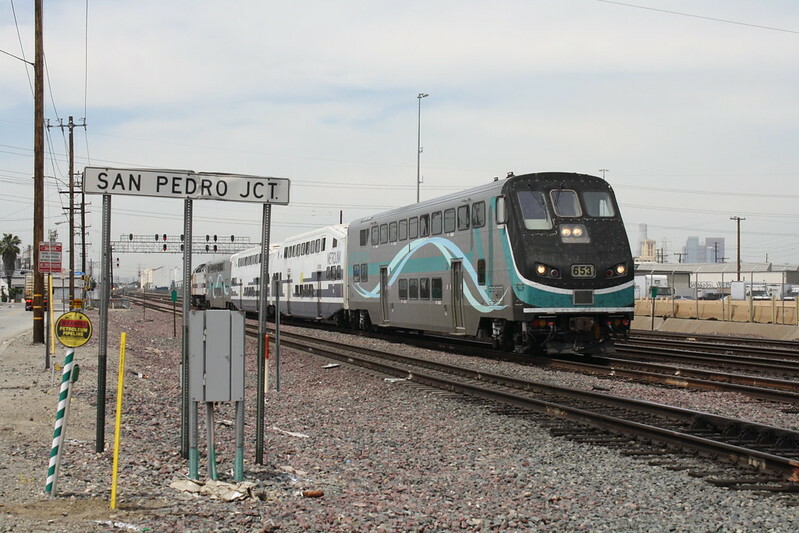 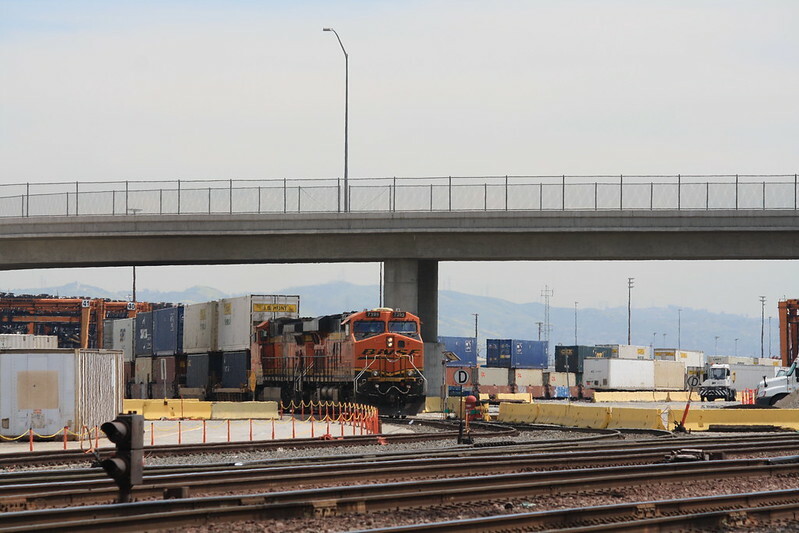 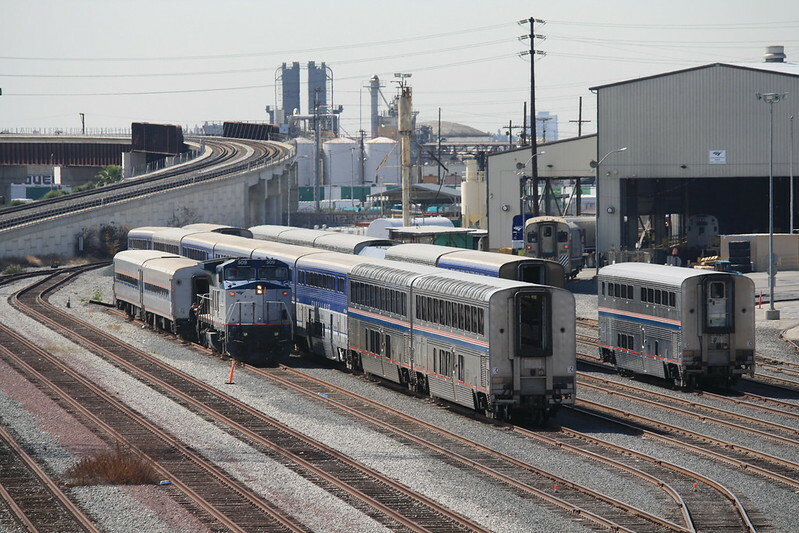 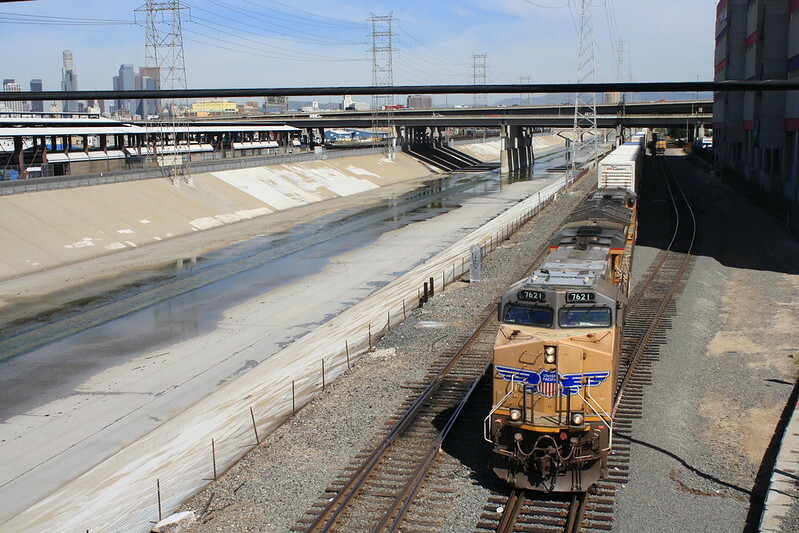 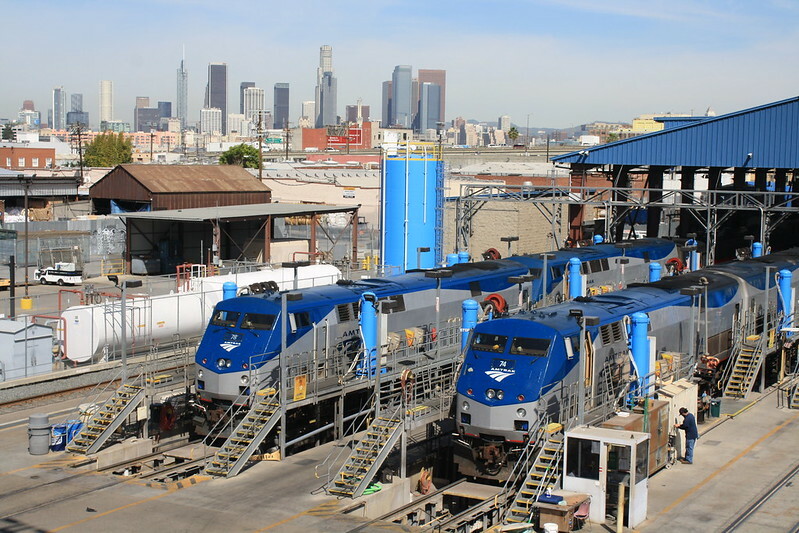 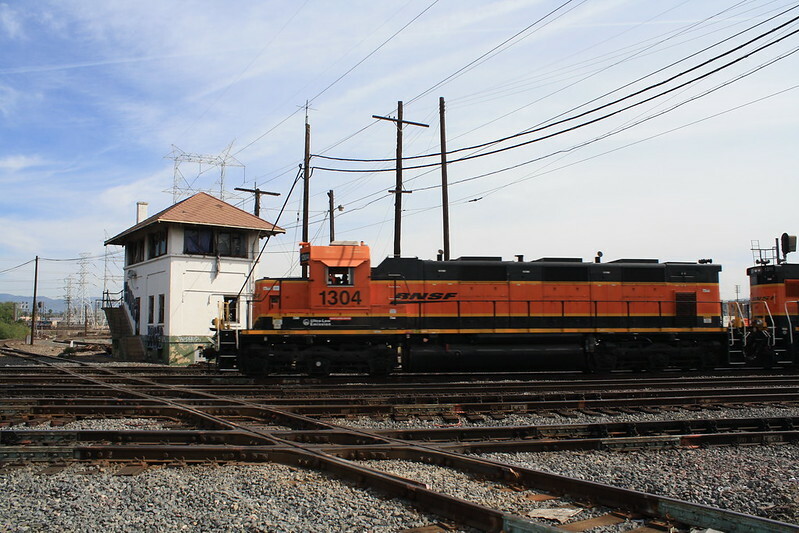 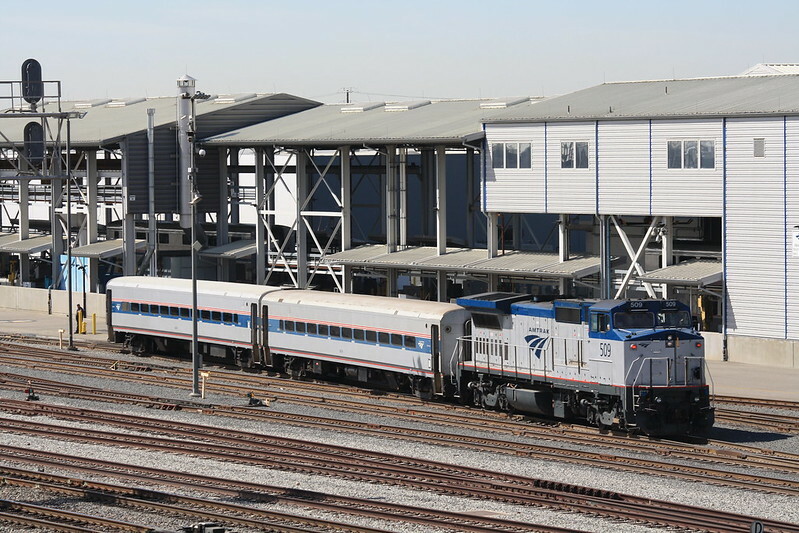 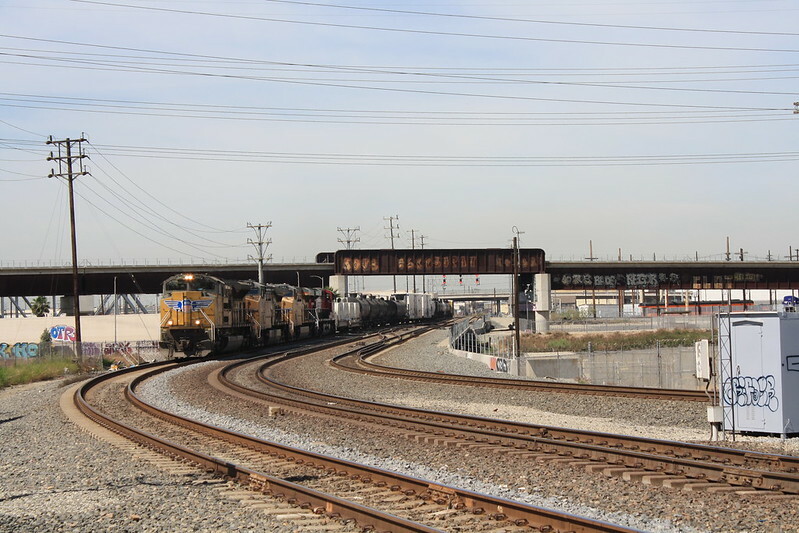 The same Eastbound Ethanol train pictured earlier at San Pedro Jct waits for a recrew. 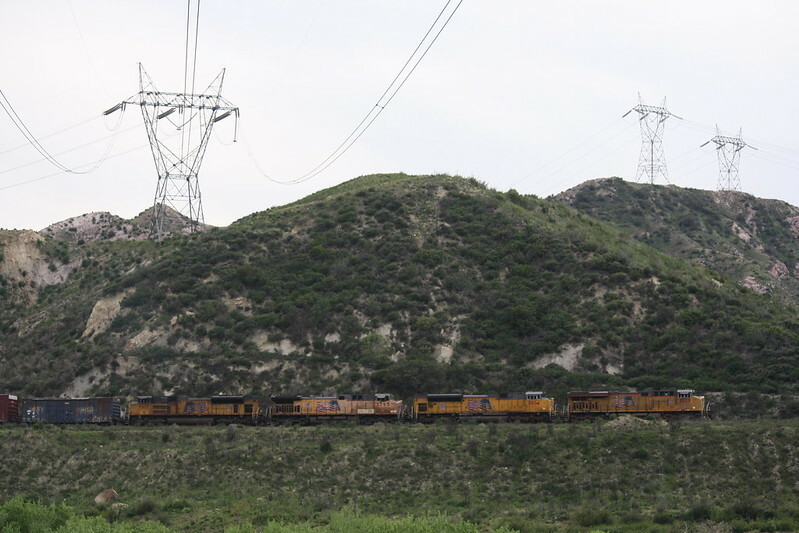 Trains utilize helper engines to get over the summit.